Aves Air review | What Hi-Fi? 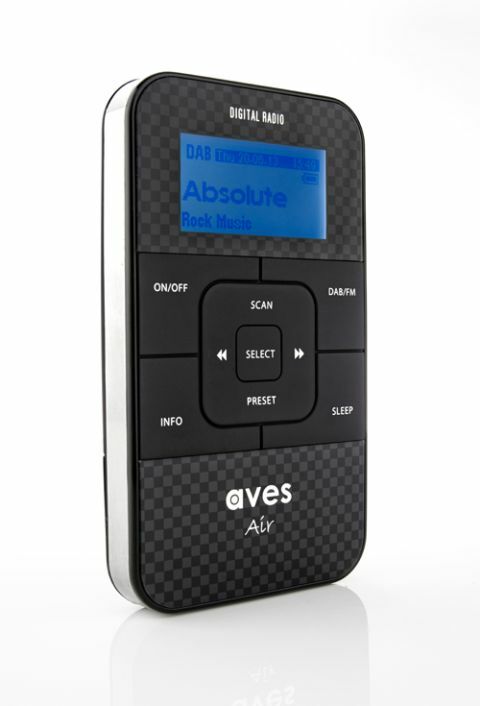 The Aves Air is a neat, lightweight little portable radio that does a fine job for on-the-go listening. It is let down, however, in one major area. Let’s get the negative out of the way first. The earbuds provided – hard round, plastic numbers, a little like Apple’s original freebies for the iPod – simply aren’t up to the job. There is no flexibility to them, so it’s almost impossible to get the decent seal that you really need to get top sound from an earphone. What’s more, they fitted so poorly that we found ourselves having to reinsert them every few yards when we were on the move – so often, in fact, that we gave up on listening for a while. It was only when we replaced the lost-cause units with properly fitting headphones that we could appreciate what the Air has to offer. For, given a chance, this is a lovely little radio. It’s powered by two AAA batteries that will give around eight hours’ listening time, so it would be worth investing in some rechargeable batteries if you’re planning some long-term listening. The headphones you’re using also stand in as the radio’s aerial, so make sure they are in situ before you ask the unit to scan for stations. Once that’s done, though, we found that the Air scans the airwaves and locks on to stations easily. It’s not the most intuitive thing in the world to use, however. To search for stations manually, you use the left and right buttons on the face of the unit, but the station names on the screen scroll up and down. It’s quite easy to get confused and push either the up or the down button instead, which means you’ll have to go back to square one on your search. It’s a seemingly unnecessary irritation. Once you get the Aves Air up and running, however – and with a decent set of headphones, remember – those problems become less important. This little unit sounds good. The spoken word especially comes through with warm tones that are easy to listen to. That strength with the midtones means that music comes across nicely as well. There’s decent bass weight without the low notes becoming overpowering, and the high frequencies are clear without being too sharp. You’ll almost certainly find you’ll have to use a different set of headphones from the ones supplied – and you might well want to invest in some rechargeable batteries – but do that and you’ll find this Aves Air unit a very satisfying radio for on the move listening.